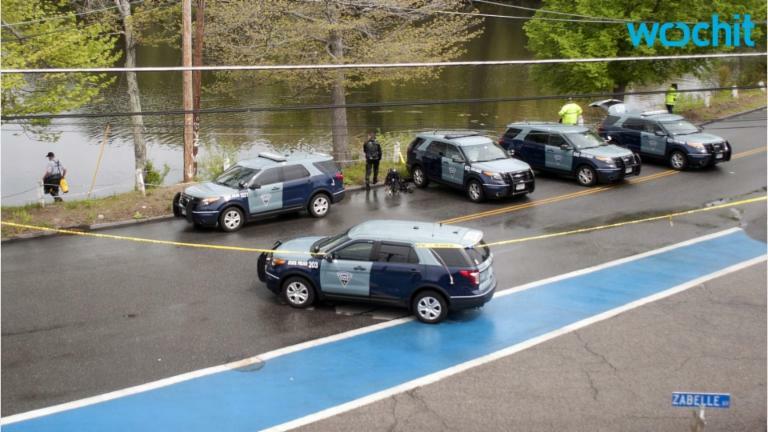 May 22 (Reuters) - A central Massachusetts police officer was shot to death during a traffic stop early on Sunday, prompting an exhaustive manhunt that ended when the suspect was killed by officers who found him hiding in an apartment closet, authorities said. A state trooper was struck in the shoulder when the gunman burst from the closet and opened fire, said Colonel Richard McKeon of the Massachusetts State Police, but was expected to survive. The suspect, identified as 35-year-old Jorge Zambrano, was shot by officers and was later pronounced dead at UMass Memorial Medical Center, according to McKeon. "I think justice was served today," McKeon said, adding that Zambrano had an extensive criminal history. The incident began when Auburn police officer Ronald Tarentino, 42, was fatally shot around 12:30 a.m. EDT (0430 GMT) in the town, which is approximately 50 miles (80 km) west of Boston. The shooter fled the scene in his vehicle, touching off a manhunt across the region that ultimately led police to an apartment building in Oxford.